“No programme had captured the interest of farmers in cross River State like Solidaridad’s BMP programme. People keep calling to ask when we are coming to their communities” – Chief Owali Ilem OPGAN Chairman, Cross River state. 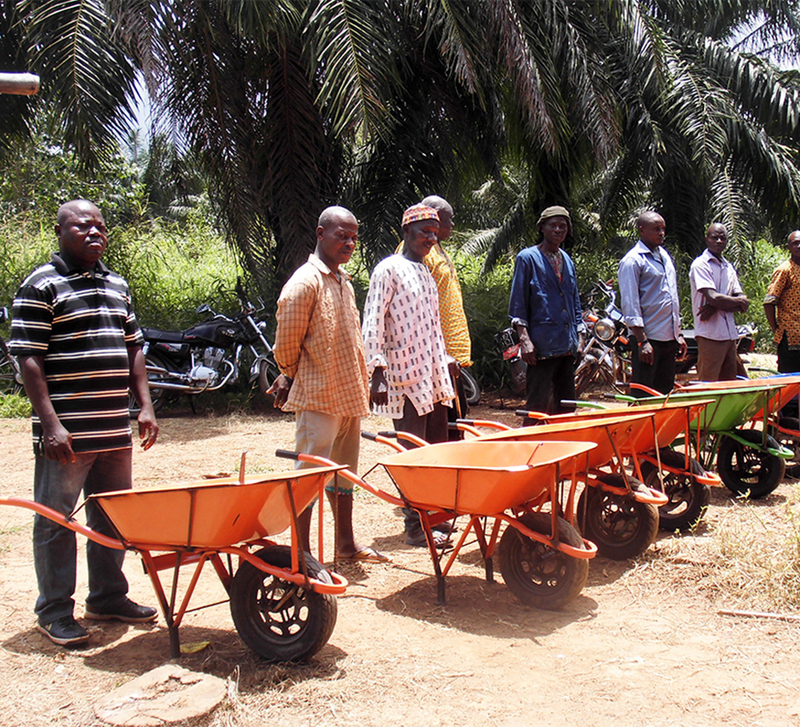 Solidaridad, having been working to integrate smallholders into the sustainable palm oil supply chain through RSPO Certification in Ghana, Nigeria and Core d'Ivoire, has been learning some lessons that are being used to refine existing projects and which will be useful in designing future projects. Smallholder farmers have great difficulty appreciating the benefits of certification and they consider its requirements cumbersome and expensive, they are however more favorably disposed to BMP interventions and its attendant improved productivity. Solidaridad has subsequently adopted BMP intervention as the entry strategy to introducing RSPO certification to independent smallholders across the project locations. The fragmented and scattered nature of independent smallholder farms coupled with the near non-existent documentation on land titles among them have continued to make meeting RSPO requirements on land use analysis, HCV assessments, land maps, compensation procedures, land titles and RSPO registration very difficult for smallholder groups. Basic GPS mapping of farmers farms are now been adopted to develop some basic maps for farmer groups for instance while letters from local authorities on land are being used to resolve land documentation challenges. Solidaridad is working with several independent smallholder associations in different project locations. While there are some umbrella associations, there are also several independent farmer cooperatives that are very active in the project. Considering the high cost of audit, presenting individual associations and cooperatives for audit would be out of the reach of the project budget for the exercise. Hence, solidaridad has been engaging with various associations and cooperatives on the need to work toward the evolution of an umbrella RSPO association under which all-participating smallholder farmer groups can be presented as a group for audit in order to keep the overall cost of certification manageable.